Frederick Lincoln Fuller was born on 11 April, 1861, in Norwich, Conn. He was the first son of Charles Chester Fuller (1832-1880), a mill owner, and Lucy May (Stead) Fuller (1834-1922). Frederick had an older sister—Mary L. (1857-1911), and a younger brother—Charles Owen (1867-1957). Fuller family were heirs of the early settler John Fuller, born on 19 May, 1617, in Chelmsford, England. John emigrated to Massachusetts Bay Colony in July 1635, together with his elder brother William. He worked as commissioner, farmer and maltster, and died on 4 June, 1666, in Ipswich, Massachusetts. Frederick inherited the love of machinery from his grandfather Owen Stead, who was engaged in broom manufacture. He was only ten years old when he mastered the trick of making simple turnings on a small wood lathe. Fred was nearly through high school, when his father lost his mill during the Great Depression of 1870s. The severity of this unexpected business calamity broke his health, and he died at the age of 48, after several years of illness. Fred was only 14 years old when his father's breakdown threw the family with unbelievable abruptness into an entirely new way of life. His mother took in boarders, his sister found work as a school teacher, and Fred was obliged to hunt a job that would enable him to contribute his bit toward the support of the family. Thus in 1875 he started to work at the Chelsea Paper Mills in Norwich as office boy for 5 dollars a week. There Fred learned every phase of the paper making trade. 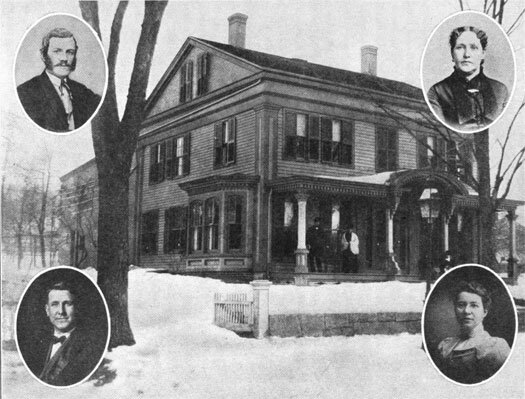 Fuller's homestead in Norwich, Conn. Insets in top, his father and mother. Lower insets, his wife and himself. In 1881 Frederick Fuller married 16 years old Rebecca Hamilton Bell (1865-1937), a partnership that lasted for fifty-six years. They had one daughter—Lucy May Fuller (born 1897). Soon after his wedding he decided that the opportunities in the paper business were too limited to insure a comfortable future. He worked for 6 months in a brass foundry, but it was too much for his health. Then he ran a cloth stretching machine at a bleachery, before to return to the paper business, and left again the paper business, to run a drill press in a boiler factory, where he had an accident and lost one of his fingers. Although he enjoyed the work in the boiler plant, his health showed no improvement. The doctors said he would have to have out door work before he could expect to become robust. And it was at this time that an opportunity presented itself for a job that was to keep he out of doors, in sun and rain, heat and cold, up hill and down dale, for more than two years. He was one of the first five men to don the uniform of mail carrier in Norwich. Fuller commenced his long career as inventor in 1886, when he devised device for registering and recording the time worked by employes and automatically computing their wages. The machine was patented in 1888 (US patent No. 379865). 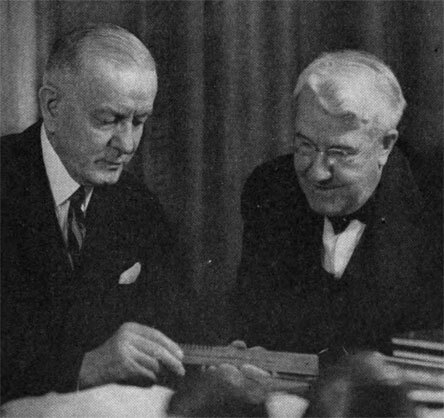 Fuller managed to convince a local businessman, Mr. Tillinghast, that his device is good enough to be put in production, and he provided money and a place where Fuller could make a real model. He was sent to Waterbury, Conn., the national center of manufacture of metal models, to carry on his work. Even a company had been formed to market the new machine, but when his main patron died, the project was abandoned, thus Fuller became again unemployed. In 1888 Fuller was engaged in Specialty Manufacturing Company of Waterbury, Conn, owned by the Griswold family. There he saw a cash register and decided to create a better one himself. Working together with George Griswold, son of the owner, he created and patented a very good cash register (see cash register of Fuller and Griswold). They established Union Cash Register Co. to manufacture their machine, and the company existed until 1907, when it was acquired by the great National Cash Register Co. of Dayton, Ohio. 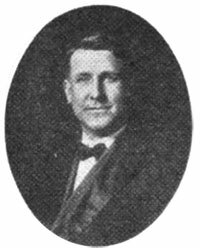 In 1909, Fuller was invited to join the National Cash Register Co. in the invention department. He worked for NCR for eight years, the last three years as the chief inventor. While in Dayton, Fuller made friends with the sales manager, Thomas J. Watson, the future chairman of IBM. 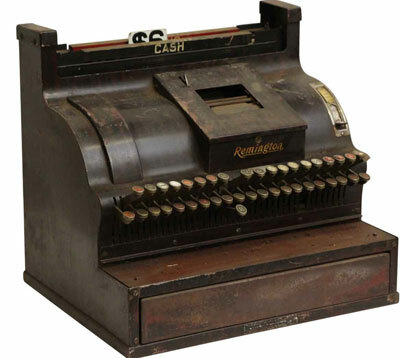 In 1917 Fuller left NCR, to accept a position of chief inventor in the cash register line in the Remington Arms Co. of Bridgeport, Conn. Fuller developed inside the stipulated time limit a register known as the Remington (see the upper image), which was a success from the moment it was placed on the market. In 1925, just fifty years after he had taken his first job in the paper mill in Norwich, Fuller made up his mind that a half century of steady work had entitled him to spend the rest of his days in leisure. But complete retirement, after one has been as active as he had been all his life, is not the ideal state that is so fondly imagined. So, when in 1927 Thomas Watson was invited him to join the inventions staff of the IBM, he accepted his invitation with alacrity. The main creature of Fuller in IBM was the 801 Bank Proof machine (patent No. 1946906 from 1934), which could list and separate checks, endorse them and record totals. By replacing hand-written teller sheets, the 801 machine, as well as its successor, the 803 Proof Machine, dramatically improved the efficiency of the check clearing process. Frederick Fuller was a remarkable inventor. He was a holder of many patents for various devices and mechanisms, starting with the above-mentioned patent No. 379865 from 1888, for a pay-roll computing time recorder; then 2 patents for cash registers (420554 and 420555); 2 more patents for time recorders (431344 and 435582 from 1890); computing scale (580783); cash indicator (585467); 2 more patents for cash registers from 1897 (585468 and 585565); price scales (602658, 603503, 603504, and 603505); and many others. Frederick Fuller kept his position in IBM until hid death on 29 April, 1943, at his home in Llewellyn Park, New Jersey.